ALL OFFERS CONSIDERED!! From the moment you step onboard you can see the love the current owner has put into this very clean and tidy vessel. Steber boats have a reputation for their sea keeping ability and are loved by serious game fishermen for this reason. 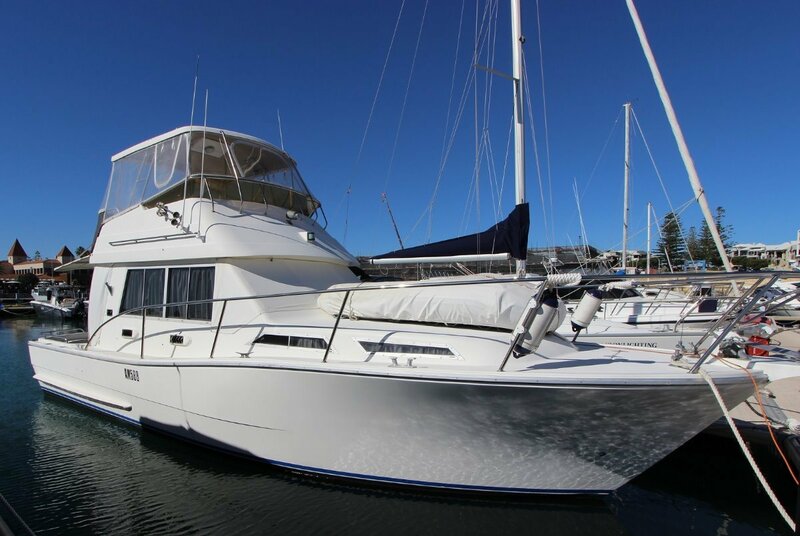 This very spacious vessel is perfect for weekends at Rottnest with the family and will sleep up to 7 people in comfort. The twin Perkins 240hp turbo diesel engines have both had recent overhauls. There have been many recent upgrades that include a new hot water system, tender, stereo system, carpets, curtains and prop shafts. If you are looking for a Bertram 35 but haven't found the right one then this is definitely worth a look. Inspection will not disappoint! !